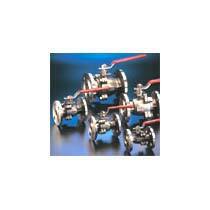 Ball Valves provide tight shut-off and character control. They have high range ability due to the design of the regulating element, without the complications of side loads typical of Butterfly or Globe Valves. We manufacture and export a wide range of Ball Valves.